CALEDONIA —Matt Cappotelli is scheduled to undergo his second brain surgery to remove a tumor. According to a Facebook post from Cappotelli former winner of a WWE contract on Tough Enough III, has disclosed that the brain tumor that ended his career 10 years ago has returned. 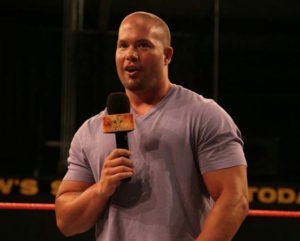 Since his WWE career ended Cappotelli he has become a trainer at Ohio Valley Wrestling and Physical Therapy Director at Louisville Athletic Club Westport.